Here are a few of my favorite planner items which includes binders, inserts, dividers, ink pens and more! Protect yourself and your family by preparing for an emergency ahead of time. Notify electrical company if someone in your home has medical needs that relies on electricity. My husband has end stage renal disease and takes hemo dialysis at home. It’s good for the electrical company to have this information. In the event of a power outage, electricity may be restored a little quicker. While there’s no guarantee the electrical company gives preference to those with medical conditions, it doesn’t hurt for them to have this information. Know your evacuation zones. Do a google search to find your state’s evacuation zones. If you find you are in an area that is likely to evacuate, prepare now. Some ways to prepare is to download an emergency checklist and pack an emergency backpack. Do you or your loved one have a medical condition? Wearing medical jewelry can help first responders react more quickly in emergency situations. You may be eligible for free medical jewelry, see link at bottom of this page. Print an emergency list today. You may be able to get FREE medical alert jewelry. Wear medical jewelry, especially if you have medical needs and live alone. Our pick for the best teacher planner is TF Publishing’s Teacher Academic Year Planner – 2018/2019. Buy it now for only $16.99 USD plus save even more with the coupon codes at bottom of this page (scroll down). Here’s a list of this planner’s best features. Have trouble seeing small print? No problem. This teacher planner is 9 inches by 11 inches, spiral bound so it will lay flat on your desk. The cover is durable and available in a professional-looking dark charcoal. Birthday lists – keep up with class birthdays! Price does not break the bank. Price it here. Save even more with the promo codes below! Want to customize your planner? Scroll down to pick out your binder and inserts. Save 20% on entire order! What should I include in my teacher planner? Some ideas to include in a teacher planner are class schedules, class periods, class birthdays, holiday lists, semester overviews, period ending dates, school calendar deadlines and grades. I want to get a teacher planner fast, is it sold on Amazon? Yes, you can also get this planner on Amazon with fast, free shipping here. What is the best online teacher planner app? I don’t recommend planning apps for teachers and here’s why. In my opinion, it doesn’t look professional to be looking at your cell phone at work or while teaching students. While you may be doing bone fide work on your phone, many people perceive looking at your phone while communicating with others as rude. Also your students may perceive you looking at your phone as not paying attention to them. Electronics such as tablets and cell phones have a lot of distracting notifications. I can’t tell you how many times I went on my cell phone to check my bank balance and ended up watching a video on youtube! Paper planners allow whitespace time so you can collect your thoughts and think clearly. Watch this video on using your planner for stress management. Where can I buy teacher planners? My favorite places to buy teacher planners are at FranklinPlanner, Amazon and Ebay. Here are my picks from each place. Which teacher planner can be used for block scheduling? Any planner with a weekly layout with grid is best for scheduling blocks for classes. I’m looking for a teacher planner for guys/male teachers. Will this planner be good for that? The TF Publishing Teacher Academic Year Planner – 2018/2019 is great for male teachers because the cover is durable and available in a professional-looking dark charcoal. Also, inside the planner has everything a teacher would need. What other teacher planners are for sale? I want a more customized planner. For a more customized planner, consider building a planner with binder and inserts picked out yourself. Scroll to the bottom of the page to review various binders and inserts. Be sure to use promo codes to save big. I’m looking for a teacher planner with a gradebook. The Teacher Academic Year Planner – 2018/2019 has a Student Tracker section that could be used to record grades. Can I get the Franklin Planner’s Teacher Academic Year Planner in Canada? Yes, you can get this teacher day planner in Canada. Franklin Planner ships to Canada. I’m looking for a teacher planner with attendance. The Teacher Academic Year Planner has a Student Tracker section that could be used to record attendance. I’m looking for a teacher planner with diary. In order to have the best of both worlds, a teacher planner and a diary, I recommend the ring-bound planner. 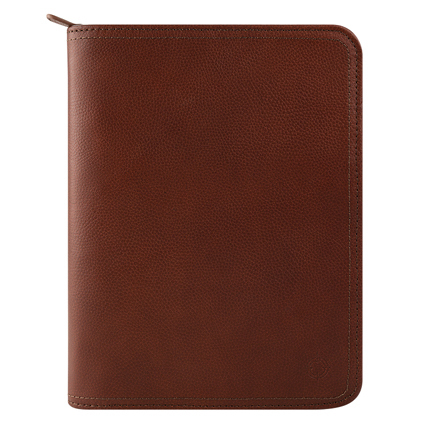 This will ensure you have enough pages for a diary and the ability to personalize it. There are weekly inserts with grid which is great for teachers block scheduling and class planning. A ring bound planner will also enable you to have a teacher planner with pockets and add your own custom pages to the planner. I hope you enjoyed these tips on teacher planner organizers (or organisers if you are in the UK). Now get inspired. Enjoy some of my planner videos below. Get your free habit tracker printable here (scroll down). A daily habit tracker can help you reach your goals. Did you know changing habits can be difficult without a way to track progress? Customize and use this free goal tracker today! Click here to download your habit tracker excel printable in .xlsx format so you can customize it. How do I go about changing habits? The first step is acknowledging there are habits you want to change in the first place. Obviously you do or you would not be reading this post! Write down the habits you want to change. It can be as simple as writing down a list on a piece of paper. In this day and time everyone wants to use a changing habits app on their cell phone to do everything. Writing habits down on paper is key because psychologically what you write down gets reinforced in your brain. I want to get in a habit of brushing my dog’s teeth. This could make the difference in a $40 vet bill or a $500 vet bill for a dental cleaning. Next write a good habits list. This means taking a look at your bad habits list and listing what you are going to do differently. Use the tracker at the bottom of this page for your good habits list. You can simply write the habits in the template or watch video below on how to update the tracker electronically. Is it true you can change habits in 21 days? It takes at least 21 days to form a habit. Try it! Technically, there are 365 days of the year and 21 days is only 5% of your year. That’s a short amount of time! So why not try to develop a new positive habit and see how your life begins to change! A few years ago, we had a life changing event in our family. We learned that my husband’s uncontrolled blood pressure caused irreparable damage to his kidneys. For the rest of his life, he would have to go on dialysis or get a kidney transplant to survive. Who should we blame for this? While there are many people we could blame, the real blame is ours. It’s our fault we weren’t tracking my husband’s blood pressure. It’s our fault we left his health in the hands of others. The blame is ours. As his wife, I now use a planner to keep track of his medical information, as well as for the rest of the family. A planner enables me to recall important medical information and notice irregular trends in blood pressure and weight. While you may not be a medical expert, keeping your medical information organized in a planner is a great way to monitor and organize health information. Below are some tips for organizing medical information in your planner. Add a “Medical” section to your planner. This section will be used to house all medical information so you have the information handy. I have a binder planner with rings and simply added a tab for medical information. 2. Add a list of medications being taken for you and your loved ones. Whenever you go to a medical facility, you will always be asked for a list of current medications and vitamins. Having this information handy will relieve some stress so you can focus on the doctor’s appointment itself. Be sure to include drug name, dosage, frequency and the doctor who prescribed it. Medication lists can be written on plain planner note pages. I typed mine and placed in a clear sheet protector. 3. Use your planner to take notes during doctor’s appointment. This way you can write down important medical information and refer back to it later. At doctor’s appointments, I ask the medical staff spell out complicated medical terms. After the appointment, I refer back to my medical notes and google medical information to get a better understanding. I even can view pictures and diagrams on the internet to increase my awareness about the medical condition. After doing research, I’m able to ask better questions regarding what to expect and in return, my loved ones get better care. Isn’t she lovely? This is the planner I use. 4. 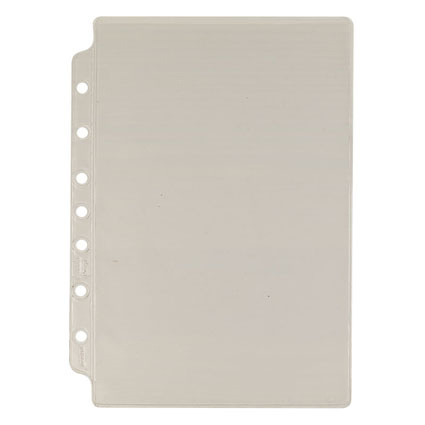 Use clear page protectors for medical pages used frequently. I refer to my husband’s medication list often so I keep it in a clear plastic sheet protector. 5. Consider including a key information page in your planner. This page can include your blood type, medical insurance information, allergy information, etc. Franklin Covey has a starter kit which includes Key Information pages. I keep key information for each family member on these pages. 6. Keep a log of medical appointments. Record date of service, purpose of visit and doctor information in a neat log. This comes in handy when you get medical bills and have no idea what the bill is for. 7. Keep a log vital statistics like blood pressure, diabetic blood sugar levels and your weight. This will help identify trends and enable to you to have constructive conversations with your doctor about your health. .
All Planner Videos. All The Time.